A nature’s camp for the students of the nearby villages of Kaziranga National Park concluded successfully recently. The camp was initiated in 2007 under the name of Nature’s Orientation Initiative. 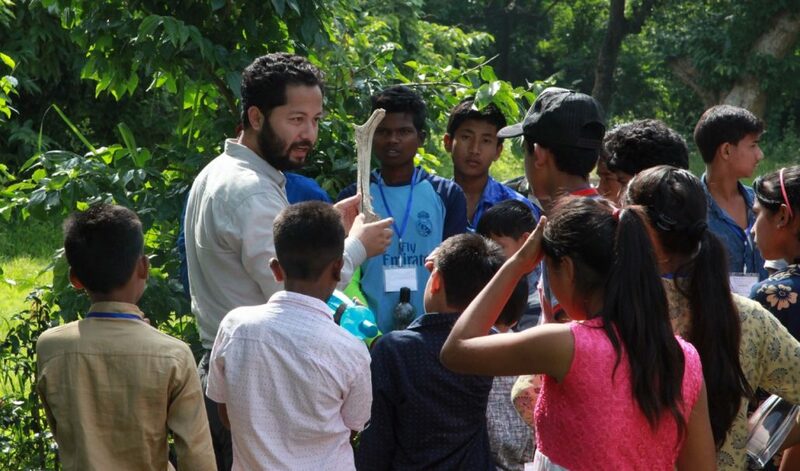 This year as many as 47 selected students from around 29 fringe villages of Kaziranga National Park participated in the camp. The nature’s camp was held at the guest of the Forest Department situated at the Bagori range of the national park. Several eminent environmentalists and wildlife experts conducted interactive session with the participating students in the three-day nature camp that began on May 15. Apart from such exposure interactions, the participating students were also taken for sight-seeing inside the national park. The residential nature’s camp for the students was inaugurated by the Divisional Forest Officer (DFO) of Kaziranga National Park, Rohini Ballav Saikia. A booklet titled ‘Kaziranga’s Diary’ published by the Kaziranga National Park authorities was also released on the occasion. The natures’ camp was enriched by the presence of stalwarts like Dr Bibhuti Prasad Lahkar of Aaranyak, the proud recipient of World Heritage Hero Award; Dr Anupam Sarmah, Dr Pranab Jyoti Bora and Hiten Baishya from WWF; senior journalist of Kaziranga, Swapan Nath; officer-bearers of Aaranyak, Dr Firoze Ahmed, Jayanta Pathak and Arif Hussain; office-bearer of Wildlife Trust of India, Dr Panjit Basumatary; Sumanta Kundu and Dibyajyoti Saikia from Corbett Foundation; Research officer of Kaziranga National Park, Rabindra Sarma; Kaziranga National Park veterinarian Dr Debabrata Phukan; Majit Patir and Muhinanda Pegu from Green World Campaign. These eminent personalities shared various experiences and imparted awareness towards conservation of nature and wildlife. 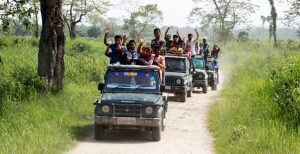 The participants of the camp were also taken to Panbari Reserve Forest for bird watching. The participating students were presented with a badge of the Kaziranga National Park at the valedictory function at the conclusion of the nature camp.